Landlords in Tupelo, Mississippi will see their costs increase next year when a burdensome rental inspection program goes into effect. While those in favor of the measure say the frequent inspections are necessary for public safety, they are also hoping to reduce the number of rental properties which they say will improve the neighborhoods. Landlords will be required to pay a $25 per unit fee, then submit to rental property inspections every two years–and every time a tenant moves out. Landlords who keep utilities in their own names will be inspected every six months, according to a news report. The inspections are free, unless any violations are found. After that landlords could pay as much as $400 per inspection. If violations are not corrected, landlords could wind up in court. Fines of $350 per unit will be assessed against landlords who don’t comply. Proponents feel the measure may discourage rental property owners, and are banking on the hope that the reduction of rental properties means more homeownership, which they say makes neighborhoods more stable, according to the report. 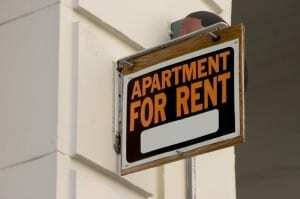 However, recent census data indicate that the number of renters is increasing significantly, causing a shortage of affordable rental housing in many areas of the country. In fact, a Minnesota appeals court found that a similar city program there did have the intended effect of lowering the availability of affordable housing, but may have violated the Fair Housing Act because it impacts minority renters more than others. For more, see Landlords Claim Discrimination, Judge Agrees. Tupelo has approximately 5,100 rental units, according to the most recent census. Tenants expressed concern that the program will force up rents at a time when many are struggling to make ends meet. The city estimates it will generate about $125,000 each year from the new ordinance. That money will go pay the salary of a new inspector, and the remainder will go into the city’s general fund, according to the report.